This tutorial will be showing you how to install phpMyAdmin with Nginx, MariaDB and PHP7.2 (LEMP) on Ubuntu 18.04. phpMyAdmin is a free and open-source web-based database management tool written in PHP. It provides a graphical web interface for users to manage MySQL or MariaDB database. You will also learn how to enable two-factor authentication on phpMyAdmin. To follow this tutorial, you need to have an Ubuntu 18.04 OS running on your local computer or on a remote server. If you are looking for a VPS (Virtual Private Server), then I recommend Linode, from which you can get a 1G RAM server for only 5 USD per month. You can also get $10 free credit by using the promo code DOCS10 if you are a new customer. It is assumed that you have already installed LEMP stack on Ubuntu 18.04. If not, please check out the following tutorial. With that out of the way, let’s get started with installing phpMyAdmin. phpMyAdmin is included in Ubuntu 18.04 software repository, so we can easily install it with the following command. During the installation, it will prompt you to select a web server to configure. Nginx isn’t in the list, so press the Tab key and hit OK to skip this step. Next, select Yes to create a new database and let dbconfig-common to configure it. Once done, a new database named phpmyadmin is created and the database user phpmyadmin has necessary privileges to manage this database. If you are curious as I am, you can log into MariaDB and check what privileges phpmyadmin user has been granted. You can use the following command to log into MariaDB server. To be able to access the phpMyAdmin web interface, we need to create a Nginx server block by running the following command. 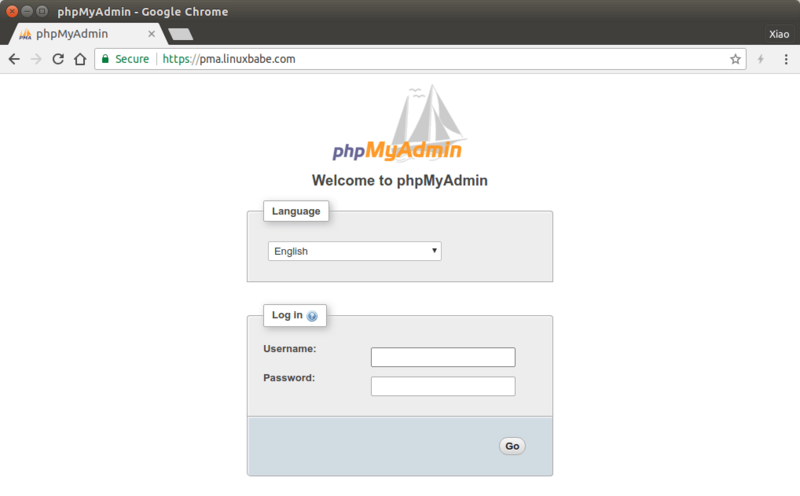 We will configure it so that we can access phpMyAdmin via a sub-domain. Paste the following text into the file. Replace pma.example.com with your actual sub-domain and don’t forget to create an A record for it. Your phpMyAdmin files are in /usr/share/phpmyadmin/ directory. Save and close the file. Then test Nginx configurations. If the test is successful, reload Nginx for the changes to take effect. Note that phpMyAdmin will not work in recent versions of Firefox. You can use Google Chrome to visit phpMyAdmin web interface. Before entering user credentials in the login form, let’s enable HTTPS. Python3-certbot-nginx is the Nginx plugin for Certbot. Now run the following command to obtain and install TLS certificate. –hsts: Add the Strict-Transport-Security header to every HTTP response. –must-staple: Adds the OCSP Must Staple extension to the certificate. -d flag is followed by a list of domain names, separated by comma. You can add up to 100 domain names. –email: Email used for registration and recovery contact. You will be asked if you want to receive emails from EFF(Electronic Frontier Foundation). After choosing Y or N, your TLS certificate will be automatically obtained and configured for you, which is indicated by the message below. Go to ssllabs.com to test your TLS certificate and configuration. You should get A+ because HSTS is enabled. If you login with MariaDB root account, you may see the following error. If you login with user phpmyadmin, you won’t see the above error. However, user phpmyadmin can only be used to administer the phpmyadmin database. The cause of the error is that by default MariDB root user is authenticated via the unix_socket plugin, instead of using the mysql_native_password plugin. To get around this issue, we can create another admin user and grant all privileges to the new admin user. Log into MariaDB server from the command line. Create an admin user with password authentication. Grant all privileges on all databases. Now you can log into phpMyAmin with the admin account and manage all databases. Using a different port instead of default port 443 can be advantageous because you can close that port when you are not using phpMyAdmin to prevent hacking activity, or you can specify which IP addresses are allowed to access that port. It’s very simple to configure. Simply open the server block file. Change 443 to a different port, for example, 8443. You can also add http2 to them like below to enable HTTP/2 protocol. Save and close the file. Then test Nginx configurations. Ubuntu 18.04 repository ships with PHP7.2 and phpMyAdmin 4.6.6. You can check your phpMyAdmin version in the browser title bar. However, PHP7.2 is supported by phpMyAdmin since version 4.7.4. When you use phpMyAdmin 4.6.6 with PHP7.2, you will see the following warning message. To fix the compatibility problem, we can install phpMyAdmin 4.8, which is the latest stable version as of this writing. Download it by using wget. Back up original phpMyAdmin files. Move phpMyadmin 4.8 to /usr/share/phpmyadmin/ directory. Edit the vendor config file. Save and close the file. Then create the tmp folder to store cache files. Change user ownership and group ownership to www-data. Now you can use phpMyAdmin 4.8 without reloading or restarting Nginx. 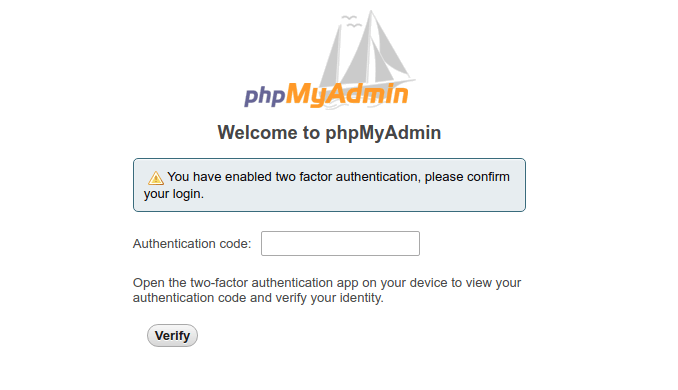 You can also harden phpMyAdmin by enabling two-factor authentication, which is a feature added in version 4.8. To enable it, log into phpMyAdmin. Then go to Settings -> Two-factor authentication and select Authentication application (2FA). After clicking the Configure two-factor authentication button, you will be presented with a QR code, which you need to scan with a two-factor authentication app on your phone. Google Authenticator is a popular 2FA app, but I recommend FreeOTP, which is an open-source 2FA app developed by Red Hat. Once you enter the authentication code generated by your 2FA app, two-factor authentication is enabled. If you now log out and log back in, you need to enter the authentication code in addition to username and password. To automatically renew Let’s Encrypt certificate, simply edit root user’s crontab file. Then add the following line at the bottom. --quiet flag will suppress standard output. If you want to receive standard error, then add the following line at the beginning of crontab file. Reloading Nginx is needed for it for present the new certificate to clients. I hope this tutorial helped you install phpMyAdmin with Nginx on Ubuntu 18.04 LTS. As always, if you found this post useful, then subscribe to our free newsletter to get more tips and tricks. Take care. I don’t understand what the problem is, any help would be appreciated.. thanks. Note that if you are using Amazon EC2, or Google Cloud Platform, you need to set firewall rules in the web-based control panel. Is “sudo mv phpMyAdmin-4.8.0.1-all-languages /usr/share/phpmyadmin” correct? Thank You for answer. I am linux beginner. I already understand. Excellent article for setting up phpmyadmin. I have followed this to the T and it is working 100%. I need this to work before re-install my nextcloud server at home. The only question I have is that… DO I REALLY have to install phpmyadmin as I dont really know how to use it? I have completed to the certbot part which it is all working. 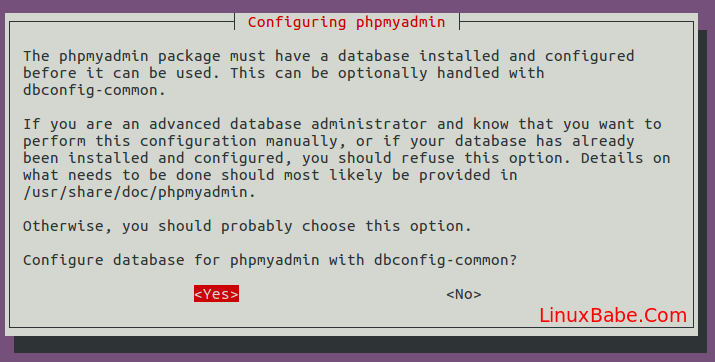 phpMyAdmin is for people who don’t want to manage MySQL/MariaDB database from command line. You can follow my NextCloud tutorial without using phpMyAdmin. When I punch in the IP of my server It connects to NGINX and not phpmyadmin, if using https I get “The site cant be reached” and I am using Chrome. Here’s the answer to my own question. Apparently Ubuntu 18.04 local domain resolution is broken. Thank you very very very much! This is the most detailed and easy to follow guide I have found! You helped me a lot! Wish you all the best!! !